This webinar is the final session in the Get Unstuck with JBoss Managed Solutions Webinar Series. The beta of JBoss Enterprise Application Platform 6.0 will be available and ready for use on March 14! 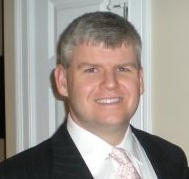 Jason Andersen is the Product Line Director at Red Hat responsible for the JBoss Enterprise Application and Portal Platforms. Jason has been working in various roles within end user software for over 15 years. He has worked with hundreds of customers worldwide in defining and implementing portal, content and collaboration solutions in many different industries. Prior to joining Red Hat, Jason was a Senior Product Manager at IBM responsible for the delivery of IBM WebSphere Portal and Accelerators. Rich Sharples is the Director of Product Management for JBoss Enterprise Middleware application platforms and developer tools at Red Hat. He has spent the last decade evangelizing, using, and designing enterprise Java middleware. Prior to Red Hat, Rich worked for Forte Software and Sun Microsystems, and as an independent software developer and consultant. JBoss Developer Newsletter - Delivers technical insight and news on JBoss.org community projects and JBoss Enterprise Middleware product features. JBoss Enterprise Insights - Learn about strategic topics relevant to CxO's, Enterprise Architects and other senior IT decision makers.